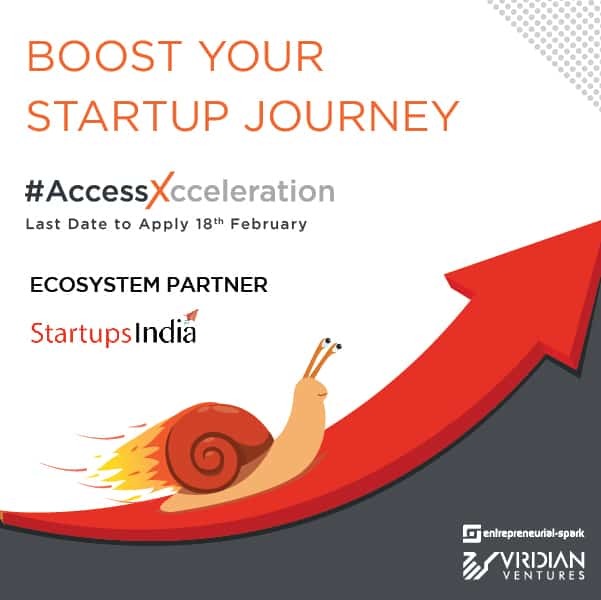 Espark-Viridian Invites Startups for its fifth edition of AccessXcceleration. It is estimated that by 2025, there will be 1 lakh active startups in India employing about 32 lakh people. India has observed a substantial growth in the startup industry. As per a statement issued by the ex-Union Commerce and Industry Minister Suresh Prabhu, India has shown a promising startup growth of 36% in 2017. This trend is set to grow exponentially in the future. However, with this rise in the number of startups, there has also been a hike in the ‘dead pool’ of startups. While the socio-economic system plays a vital role in ticking this number, lack of proper guidance to the startups still remains the prime cause for a lot of them to never see the light of day. While there are multiple startup accelerators now that are in place to help the startups, most of them focus either on sector-specific startups or startups that are ready to be funded. This leaves startups that are on the ideation stage and those in the unconventional sectors particularly vulnerable. In order to address these issues, Espark-Viridian is back with the fifth edition of AccessXcceleration, inviting early-stage startups across all sectors to participate. Interested candidates can apply between January 14, 2019 – February 18, 2019. And over the period of the next four months, the acceleration program will roll out two modules providing participating startups with a dedicated mentor who would provide them with business insights, problem-solving strategies, individual mentoring sessions, besides guiding each business idea based on their specific needs. Module 1 has been designed to focus on ideation for the startups. 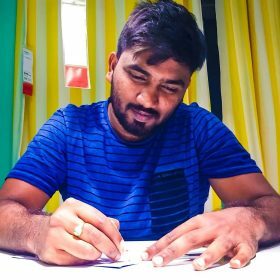 Through a validation process, startups get a platform here to discuss their startup idea in great depth, test their prototype, and guide them to reach the MVP stage. Based on requirements, the module also helps the entrepreneurs to come up with an effective pivot strategy. Module 2 focuses on providing a platform to the entrepreneurs to design their startups in a lean operating framework. Following that, they design the process flow to make it reach a stage where the idea is suitable to be pitched to investors. The acceleration program also provides emerging entrepreneurs a platform to network, interact, exchange ideas, and learn from each other. The program also includes sessions and workshops across both modules to provide knowledge-based business solutions to the young entrepreneurs. They are led by expert mentors from fields such as marketing, business development, operations, and legal, to cover every functional aspect of a startup. The centres of Espark-Viridian are strategically located all over the country to cover regions that have seen the highest growth of startups in the past few years. Espark-Viridian is currently present in Bengaluru, Mumbai, Greater Noida, Ahmedabad, and Chandigarh. To know more about Espark-Viridian, visit http://espark-viridian.org/. Espark invites you to kickstart your startup voyage with AccessXcceleration. Apply now at espark-viridian.org/apply-now. Banker By profession and an entrepreneur by choice Story of Grishma Mishra, Founder of TagInStyle.